Okay, I know it's June - June 2 to be exact. I know I'm supposed to reveal my seventh craft till Christmas. (I'm pretty excited about it, and I can't wait to share it with you.) 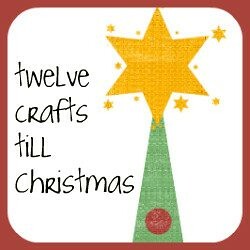 I know I haven't even officially wrapped up my eighth craft till Christmas. (I do have my mail bag tute almost ready to share.) And I blame all of these delays on Fawnda and Jeannine of Fireflies and Jellybeans and their addicting Iron Craft Challenge. They've challenged readers to create a unique craft with a secret ingredient. For this round of the challenge the secret ingredient . . . wait for it . . . cans. Every time I see a soda can, a can of black beans or mushrooms, a baking soda can, any can at all, the only thing I can think about is, "What can I turn that into?" So I have two more can-related things to post about. And then I'm promising myself (and you) to put cans behind me and move on to the goal at hand . . . after all, Christmas is only seven months away. There are gifts to be made. But for now, back to cans. Today, we're going to turn those ugly old magnets on your fridge (everyone has them . . . you know the magnets from the bank, the medical clinic, the take-out place down the street that you never go to) into unique, personal, cute and useful magnets. Isn't that great? Only four things and you probably have them all on hand. This couldn't be easier! 1) Trace your can lids onto the paper or picture you will use for the background. 2) Cut out circles and trim a bit to fit into can lid. Paper would probably stay because the rim holds it in a bit, but to secure it use a few glue dots to affix paper to can lid. 3) Embellish with other items. 5) Ta Da! Ready for display on your fridge! Always a satisfying project - I've done a variety of variations on these over the years - I am not sure why but it is just the most satisfying project. they turned out darling! I'm a juice can lid fanatic myself!! Cuuuute! Say, my laptop was mended and en route home from the hospital. "Lefty"-- that's me-- is home too and doing well! Very cute! And you're right, so much cuter than the Dr./pizza/Chinese food place magnets. GREAT IDEA!!!!! I always have those kind of magnets!! Now I know what I will be doing with them!!! I can't WAIT!!! Cute, cute magnet idea. TFS. I came here via Fun Friday Finds. Hope you can visit me sometimes over at Pittypat Paperie. Genius! This would be a great summer project for the kids... keep them busy and clean off my fridge! Oh, I love this idea! I'm thinking they would make great decorations for wrapped gifts too. I'm here from trendy treehouse btw, so cute, I'm a new follower! Can't wait to see what else you've got in store. Come visit me if you get a sec :) Happy weekend! Super cute! Following you from FF! I featured you @PonyTails&FishScales! Thanks for linking up and grab an I ROCK button from my blog!...but you already have one right?! I am following you from Sunday Showcase Party!!! Nice to meet you. I am your newest follower. Great idea! I have one of those openers and always throw the lids out! I'll have to keep them from now on. Can't have too many pics of your kids on the fridge, IMO! 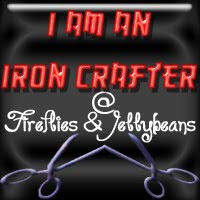 Have a super week, and stop by craftsandsutch.blogspot.com when you get a chance to take a peek at what I've been up to. I save the lids off our frozen consentrated orange juice....and now I know what to do with them! I have about a 100 of them since I knew, just knew I'd find an awesome craft for them lol! I love these! What a neat idea! Thanks so much for sharing! These are fantastic and such a great way to recycle can lids! I think I may have to try this one day! Love this idea. i think I might make some for my fridge. Would love to have you link up at my blog! I LOVE this project! 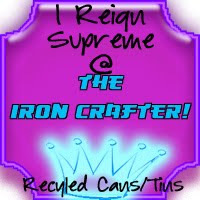 I am now a new follower and can't wait to check out the rest of your crafty and perky projects! You should come over to my website and link up your projects in some of the Flocks...."Crazy For Christmas, Crafty Mamas, Perky Blogging Mamas! 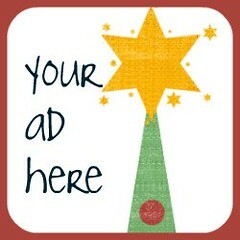 It is a great way to get some link love and would love to have you! oh, these are excellent! When it spells E.A.S.Y. + IS ABOUT RECYCLING ANYTHING, we're looking. Great idea!! Thanks for linking it up at Fine Craft Guild DIY Linky Party. wow this is an awsome idea!!! !